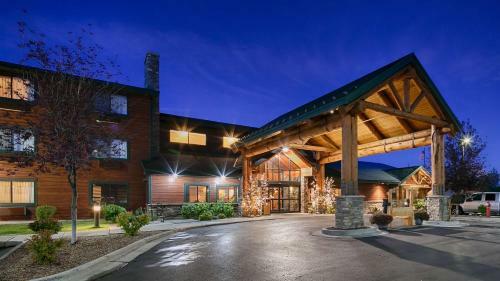 Located 11 miles away from Brundage Mountain Ski Resort, this Idaho hotel features a heated indoor pool, hot tub and sauna. It serves a daily deluxe breakfast. All rooms include free Wi-Fi. The BEST WESTERN PLUS McCall Lodge & Suites proudly offers the newest lodging and meeting facility in McCall. Spacious rooms, full breakfast, indoor pool, hot tub, sauna & exercise facility. Pet friendly with restrictions.